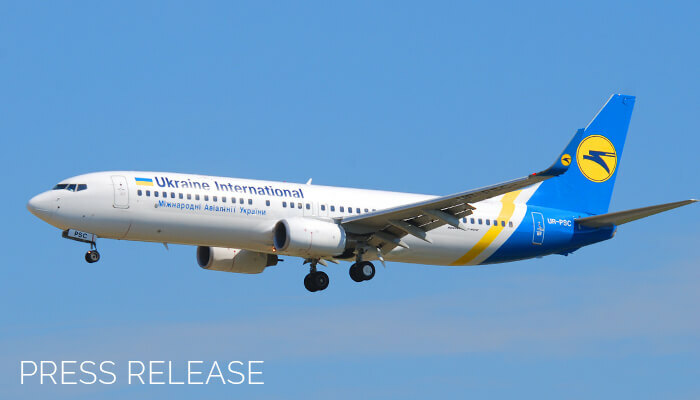 OpenAirlines has been selected by Ukraine International Airlines to provide its Fuel Efficiency Software to reduce fuel costs and C02 emissions of their fleet. Fuel is one of the largest cost factors in an airline, accounting for 25% to 40% of its direct operating costs. In addition to reducing fuel consumption through technological innovation, Ukraine’s leading airline is exploring another path via SkyBreathe® eco-flying solution. Through this new agreement, OpenAirlines will deploy SkyBreathe®, a complete fuel management software which will analyze daily the flight data of 39+ aircraft operated by the airline (from black boxes, weather data, traffic data…). It detects maneuvers or best practices that could be implemented to improve their fuel efficiency. Through an intuitive and customizable dashboard, the fuel management team will benefit from an accurate and deep intuitive understanding of fuel usage through all phases of flight. SkyBreathe® is the only solution in the market that compute fuel saving benefits taking into account the actual flight conditions (including weather, traffic, etc.) and helps the airlines achieve greater savings for each and every flight. Furthermore, as fuel savings initiatives can only be successful if the communication with all the stakeholders is based on accurate data, pilots individual analyses are made available at fingertips via MyFuelCoach™, an application designed for iPhone and iPad. SkyBreathe® is currently assisting 22 airlines across the world with any fleet type, to greatly enhance existing fuel-saving initiatives and helps airlines save millions of dollars and thousands of tons of CO2 every year. By 2021, the carrier expects to increase its fleet up to 91 aircraft, increase passenger traffic, and carry over 20 million travelers annually. About Ukraine International Airlines (http://www.flyuia.com/): Ukraine International airlines (UIA) is Ukraine’s leading airline, established in 1992. Today, UIA is a 100% privately owned company.The Ukraine International Airlines primary business is to provide safe and reliable passenger and cargo transportation. The UIA fleet comprises 39 modern aircraft: medium-haul Boeing 737 (including one freighter 737-300SF), medium-haul Embraer-190, and long-haul Boeing 767 airlines. The main base airport for UIA is Kiev Boryspil International Airport (KBP). About OpenAirlines (www.openairlines.com): OpenAirlines was founded in Toulouse, France, in 2006 to meet the needs of airlines to optimize their flight operations and reduce their costs. Leveraging a team of airline specialists and data scientists, it offers innovative software solutions to save fuel (SkyBreathe®), manage crews (CrewIntelligence™ and CrewPad™) and fleet (OptiFleet™).